Our product range includes a wide range of metal sheet, inconel sheets, metal screws and sheet metal forging. 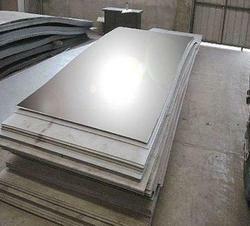 Counted among the invincible names of the domain, we are engaged in offering precisely engineered Metal Sheet. To manufacture these products, we have developed a sophisticated manufacturing unit, which is outfitted with latest machines and cutting-edge equipment. Also, we render customization facility to the clients for meeting their specific needs. We are a coveted organization, which is involved in manufacturing, supplying, distributing, importing and exporting a broad spectrum of Inconel Sheets. The experts employed by us manufacture these products using premium quality material following industry set guidelines. To rule out every possibility of defect, we inspect our range on certain parameters of quality. We are acknowledged in the market as a manufacturer, supplier, exporter, distributor and importer of a wide range of Metal Screws. Equipped with modern tools and technology at our infrastructure facility, we are able to manufacture these screws in different specifications as per the needs of customers. 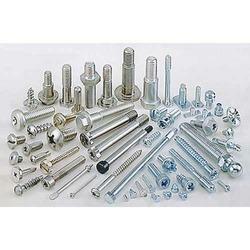 These screws are designed with perfection to bear large shear forces. Price Range may vary from Rs 3-5000 per Piece.